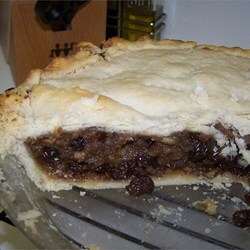 An old-time delicious mincemeat pie filling. I have frozen this filling in zip-lock baggies, since I don’t use a pressure canner. Apple cider can be used in place of brandy if preferred.